Choosing a gym in Benson, NC is a tough choice because of the vast number of choices. Here are a few tips to help you select your next health club. When you sign up for a gym in Benson, NC, be demanding! After all, finding the right gym can be the key to a healthy life! When we think about trying a new restaurant, we usually ask for our friends’ opinions, read the reviews, or see the menu before giving it a visit. If after that, we enjoy the meal, we come back for more. But if the experience is not good, that first visit tends to be the last. Finding the right gym is a lot like finding a new restaurant that you like. A good gym that suits your needs and your personality will be a motivation for you to return and exercise regularly. If you are unable to find the motivation to lead a healthy life, check out these tips. If you choose a gym at the other end of town, are you really going to go? Normally, a gym located somewhere between your home and the office or place of study is the best. On days when you do not have much time, having a gym nearby will make things easier for you. After all, exercising is supposed to be done to decrease our stress level, not to increase it. have an ideally located health club facility in Benson, with twelve more in other parts of North Carolina, making it the preferred choice for the residents. Is the gym open at the hours when you are going to go? You can find all the extremes: gyms open 24 hours a day and closed gyms on weekends. 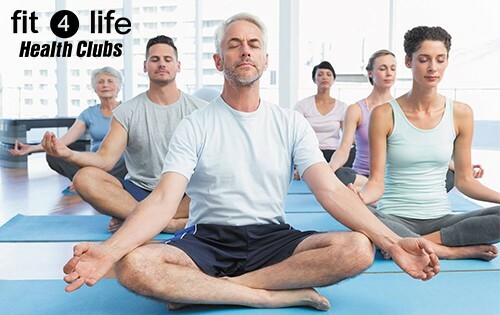 Fit4Life Health Clubs is a 24/7/365 chain of health clubs making it easy for people to find the time and motivation to adopt a healthy lifestyle. Everyone responds differently to those around them, and we should keep this in mind before choosing a gym in Benson, NC. In our fitness club, we should feel relaxed, not ashamed or intimidated. Are we going to feel comfortable in that environment? Is the gym too crowded? These are important questions to ask yourself before joining any gym. We must have people in the gym we can associate with to stay motivated. The staff and personal trainers at the gym should be very supportive and friendly, willing to answer questions or help you on a machine or exercise if necessary. They are there to help you get the most out of your training. Before choosing a gym, ask if there are fitness specialists who can guide you through your exercise routine. The first thing we should notice about the gym is its cleanliness. See if towels are used to preserve and clean the equipment after each use. Also, look to see if the gym staff enforces this hygiene standard. Check out the changing rooms, especially if you’re going to make use of them often. Look at the toilets and showers to check if they are properly maintained. Check out the main room. Are there enough machines for everyone, or do partners have to wait in line to use them? Find out if there is a list or a time limit on cardio equipment to use them. If you think you can run for 1 hour and there is a limit of 30 minutes for its use, it does not adapt to your needs. See how much variety of machines there is and, in case you do not know some, find out if there are trainers to help you. Ask to see the schedule of fitness classes and group activities offered in the gym. Check the schedules of these classes and ask if you need to arrive beforehand to reserve a place. They could interest you from activities with high intensity such as the indoor cycling to a relaxing yoga class, Zumba or Pilates.